The new COS is here! That means that many people are investigating migrating their current sites to the new system. Some HubSpot customers are already getting their feet wet with COS Templates available for purchase on the Marketplace. While the COS is easy to use for content, some pieces of the layout may be a little trickier for users. Check out our guide to updating your COS site menu below! 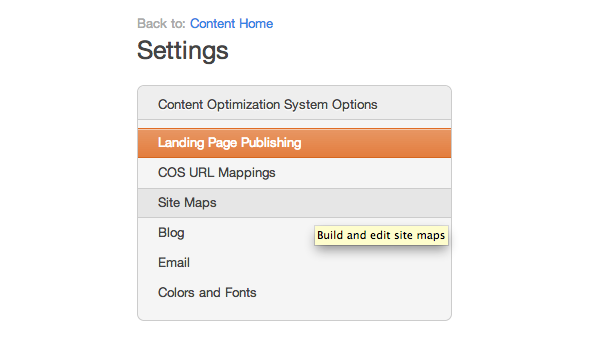 Go to "Site Pages" in your menu and then click "Manage Content Settings." Then click "Site Maps" to build a new site map. 2. 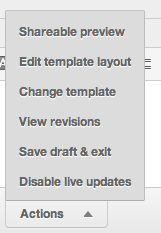 When in the template editor, click the button at the bottom that says "Actions" and then "Edit Template Layout." 3. You are now able to edit the template layout. Click on the gear image that is on the "Horizontal Top Menu" Gray module. 5. 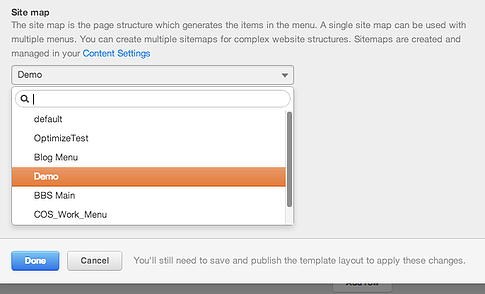 At the bottom of the pop-out menu, where it says "Site Map," click the drop-down and choose your new site map. 6. Click "Done." Then click the blue "Update" button in the upper left hand corner of the pop-out menu. Then click the green "Back to Editor" button to return to your template. 7. You have now updated your site template! Click the gray "Save" button at the bottom of the screen to update your change and make it visible in the template editor. Templates for the COS are great because they are simple to use, they optimize your inbound marketing, and they are provided by HubSpot COS Certified Agencies like Brand Builder Solutions! Not using a HubSpot template yet? Head over to our Template Work and see what you can do to optimize your new COS Redesign!